After finally having a chance to stop and breathe after Maker Party, I’m excited to share what happened in the past few months. We’ve seen individuals from all parts of the world joining us to spread the movement around teaching the web, organizations putting their hands up to teach key web literacy skills and communities everywhere taking the web by storm. You will remember my post from last year recapping Maker Party 2013 and it’s success. We used the 2013 numbers as benchmarks, along with some calculated increases, to set our goals for 2014. As with last year, there has been many highlights and developments. As a team, we learned a lot and as a community, we grew a lot. We keep seeing the web literacy movement growing and individuals from all walks of life integrating web education into their homes, maker spaces, libraries, churches and classrooms. One of the reasons I love Maker Party is because it shows individuals that learning can happen anywhere whether it be in conventional learning spaces or the most unconventional places. Most of all, it can be done by anyone (see firsthand in some of my favourite pictures below). In Maker Party, everyone is a teacher and a learner and we’re united by the great cause of empowering others to learn, build and shape the future of the web. In the months prior to Maker Party we asked organizations around the world to join us as official partners by sharing information about the campaign and by throwing events with us. A whopping 300 organizations raised their hands to join us. We learned quickly that there are many organizations around the world teaching forms of digital literacy but often feeling disconnected to the greater movement. Maker Party offered a way for them to celebrate what they are doing with others around the world. Having our partners with us every step of the way was a good reminder that this mission is bigger than just Mozilla, it’s a global movement. Last year we had a standalone page with top-level information on Maker Party. This year we had a dedicated team that worked hard to build out https://party.webmaker.org/ that equipped party attendees with everything they needed to know to help make their events and experiences a success. One of the greatest feelings in the campaign was when we realized that we achieved almost all of our goals within the first month of Maker Party. Months of preparing ourselves and party hosts had paid off! People were eager for Maker Party to start to get their events in the system and jump in. For the most part, our community has extensively used all our popular Webmaker tools including Thimble, X-Ray Goggles and Popcorn Maker, but that didn’t stop them for digging in deeper to find new and fun ways to teach with them. Having launched AppMaker at the beginning of this year’s party we immediately say individuals, communities and organizations quickly picking up the new tool to create their first ever apps. It was an instant hit! We often take for granted how valuable offline resources and activities are to individuals around the world in lo-fi areas. 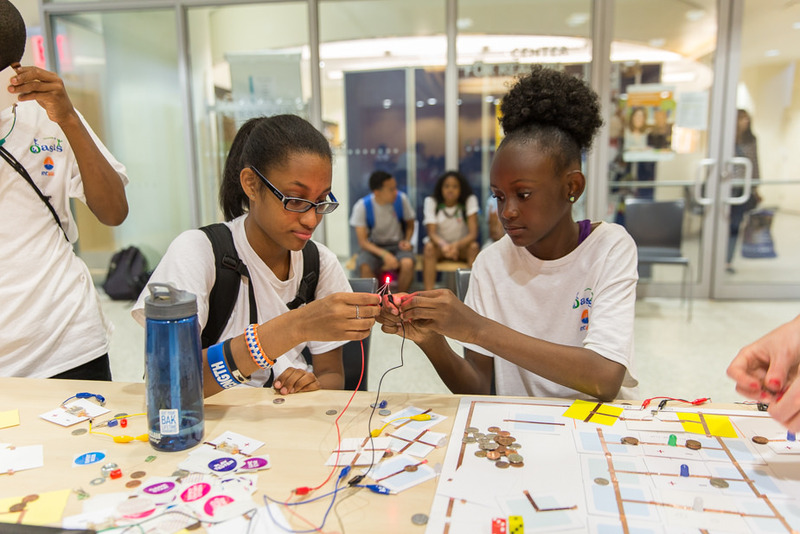 This year, we were sure to outline many ways individuals could participate in Maker Party with no internet access and we saw a surge in paper prototyping, offline idea generation, offline games, and even craft activities like making KUMI toys. Although, a lot of attention still needs to be placed on how to make sure systems are in place for them to teach to their best ability and that the resources are easily accessible. Though we saw over 1700 events in 2013, there were only a few hundred event hosts. This told us that our very engaged audience was throwing multiple events per person. This year we saw an increase in events, but a much larger increase in number of event hosts. So while hosts returned to throw another party, we saw their past participants take the next step to improving their skills be running their own events. Our community keeps growing. Whether it’s hosting an event, attending an event, mentoring someone, or volunteering at events; we have new people walking through our door all the time. And they’re coming from all around the world. 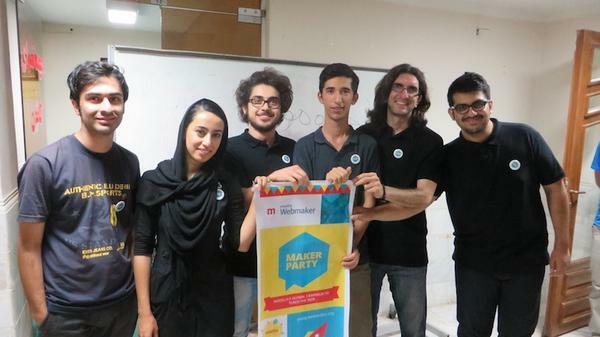 This year we saw countries including Iran, New Zealand, Albania, Sweden and more hold their first ever Maker Party, where as countries like India, Brasil, London and others blew us away with their increase in event numbers compared to last year. I want to focus on making sure the needs of all of these different groups are being addressed and we’re doing our best to ensure we can continue to enrich their learning experience. We launched a Firefox snippet during the campaign that let you hack the Firefox homepage using X-Ray Goggles. You could change colours, text and see how you can code the page in real time. 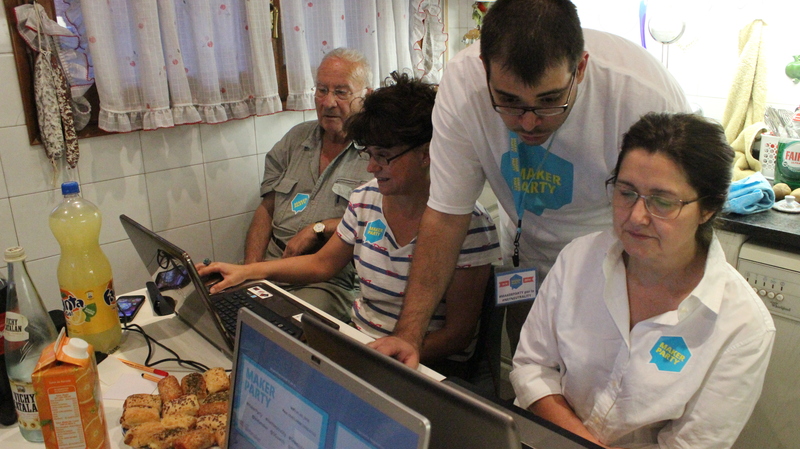 We saw thousands of individuals playing with the snippet and then coming to Webmaker to learn more about how to develop their skills and teach others. Maker Party in the kitchen in Barcelona. We’re in the middle of conducting our 2014 feedback survey with participants and event host but I wanted to be able to share what my favourite thoughts from the community so far. I was excited. 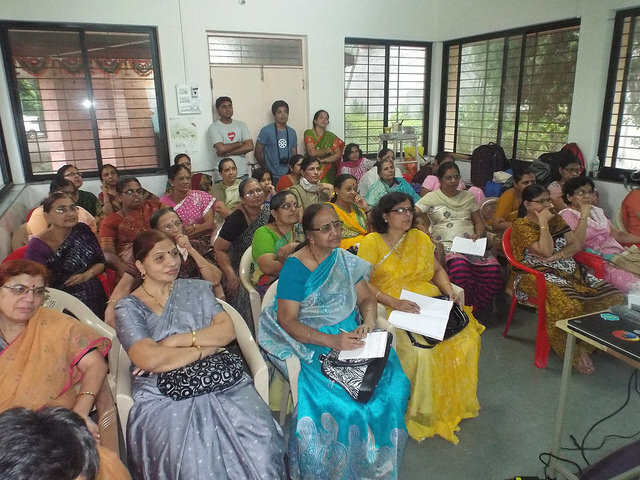 I felt fulfilled having taught the web and impacted lives; and being part of a web literacy program. 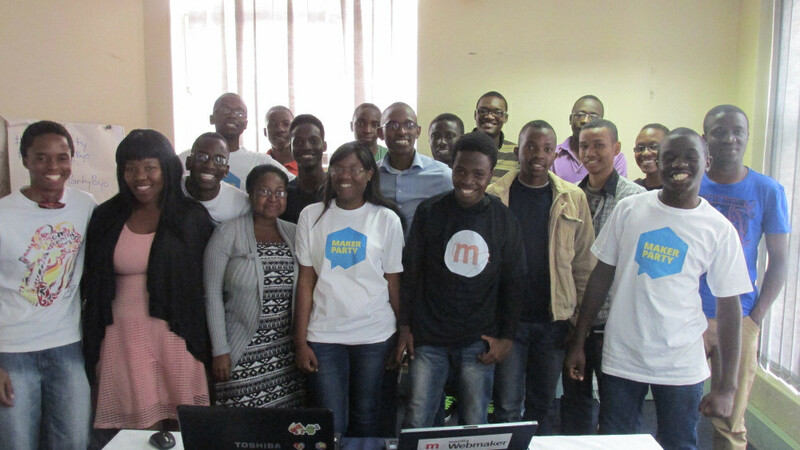 I was happy to have got recognition from Mozilla as a WebMaker and I learnt a lot during the whole time. I was really grateful for that opportunity. Now I’m strong and proud to conduct few more (in-fact lot more) events in the coming days. Awesome!!! I just loved the maker party season learning, teaching, sharing and making cool stuffs on web. 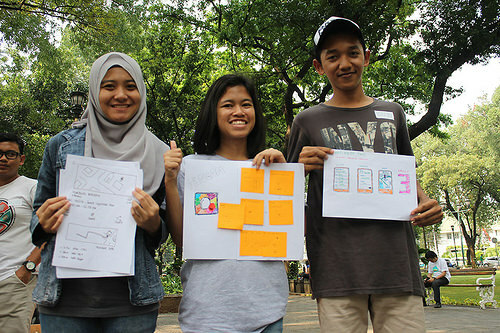 I travelled my journey from Web user to web- maker, webmaker to webmaker mentor, webmaker mentor to webmaker super mentor. 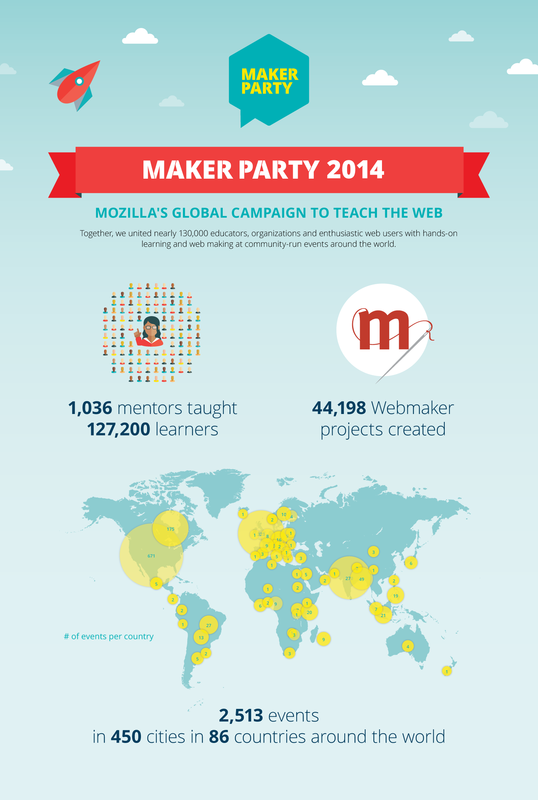 Proud to be part of these amazing numbers – Each year between all do Maker Party biggest!! !